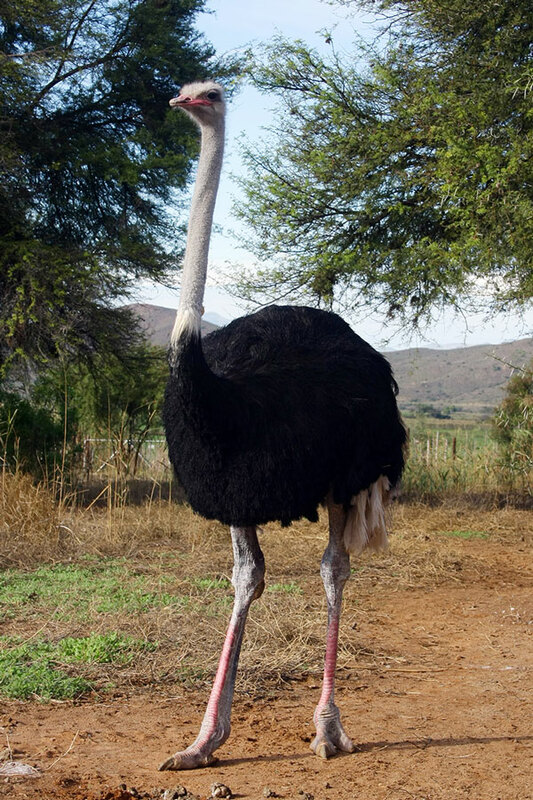 Safari Ostrich Farm | The Ostrich has equally interesting "Siblings"
The Ostrich is the biggest bird in the world and in my humble opinion the most impressive of the flightless birds. 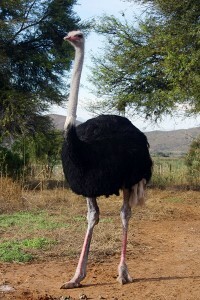 Ostriches belong to the Ratitae family (flightless birds without a keel where flight muscles should be attached) and other members of the family include the Emu and Cassowary from Australia, the Kiwi from New Zealand and of course the Rhea from South America, Interestingly all these birds are found naturally in the Southern Hemisphere only. 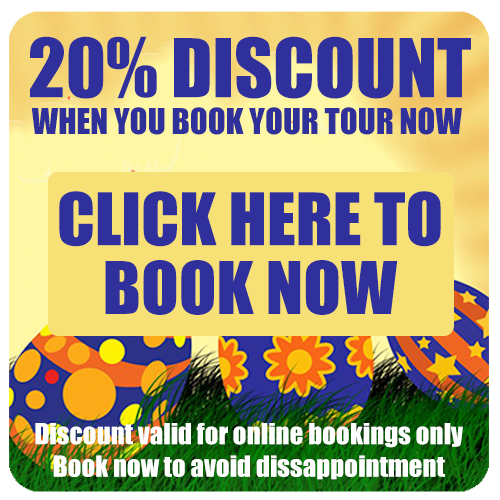 Your guided tour of Safari Ostrich Farm includes a visit to our Emu camp – we acquired them so as to enlighten our visitors to the vast difference in size between the world’s biggest bird – the Ostrich – and the 2nd biggest – The Emu. 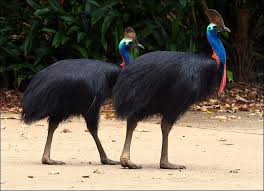 The Cassowary is considered to be the most aggressive of the Ratitae family – especially when breeding. Their long sharp claws and powerful legs make them a deadly adversary. They are shy birds though and prefer a natural habitat of rain forests in New Guinea and Australia. 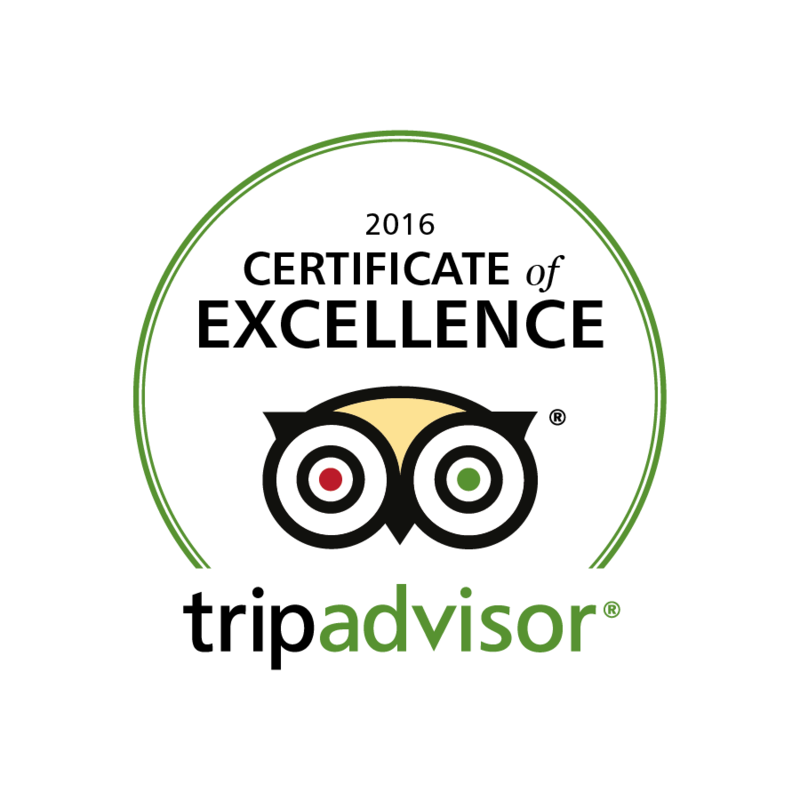 Their most appealing quality is the fact that they are excellent swimmers. The Rhea most resembles the Ostrich in behaviour and appearance; so much so that they are also known as the American Ostrich. The Rhea is the largest bird found in the Americas and is most commonly found in Brazil, Paraguay, Uruguay and parts of Argentina. 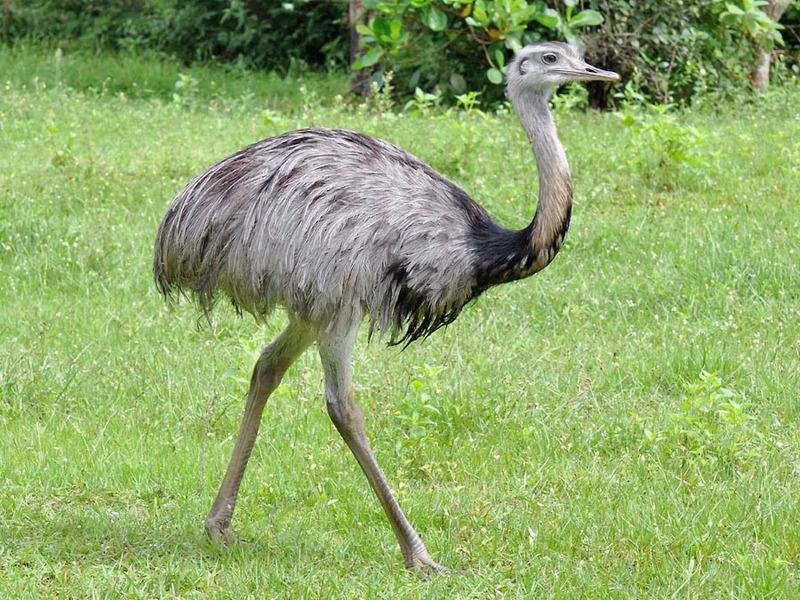 Rheas can run at speeds of up to 65km per hour – the Ostrich can run at speeds of up to 80km per hour. 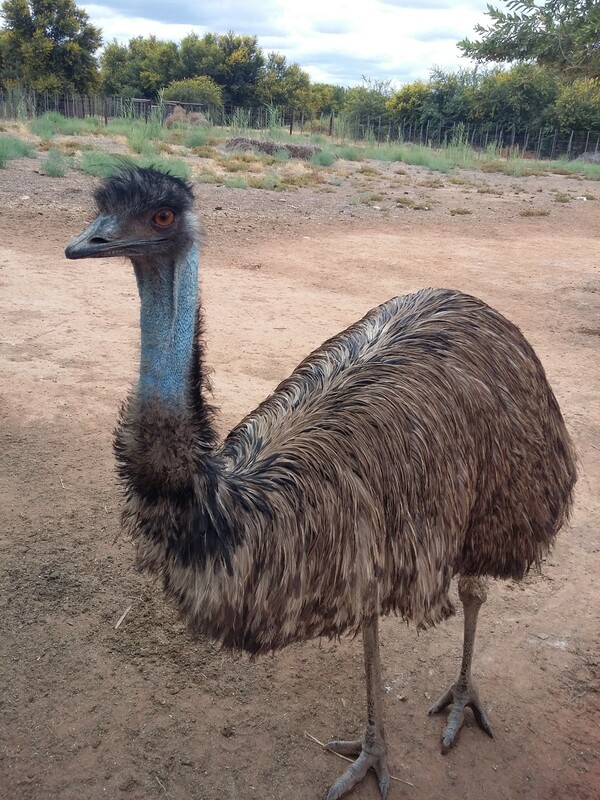 They weigh about 40kg when fully grown compared to the Ostrich which weighs about 150kg – interestingly the Cassowary weighs about 55kg – very similar to the Emu. The Cassowary and Emu share many attributes similar to what the Rhea and Ostrich do.